Did you know that Thanksgiving isn’t the best season for green beans? or that what we sometimes call yams are really sweet potatoes? 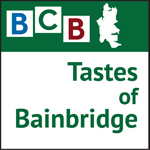 This month Joe Pulicicchio, Director of Produce and Floral for Town & Country Markets, joins Tastes of Bainbridge host Bob Ross to take a tour along the Thanksgiving table. 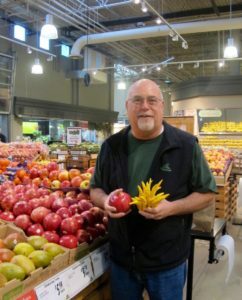 After a brief soliloquy about pumpkins, we learn which fruits and vegetables are most likely to be fresh and tasty for your Thanksgiving meal: potatoes, yams, beans, squash, cranberries — you name it, Joe can tell you where it comes from and even — sometimes — how to cook it! PS: If you’re worried about those green beans, don’t be: try their one-pound bag of French beans, add a little Garlic Expressions dressing, and your guests will be thrilled! Credits: BCB host: Bob Ross; BCB audio editor: Diane Walker; social media publisher: Diane Walker.